Thank you for visiting plsmodeling.com, a site dedicated to Partial Least Squares (PLS) data analysis methods. We're slowly brainstorming to bring you better and richer content about PLS. This means redesigning this website and rethinking about its purpose and scope. In the meantime, you will find a series of references and resources that should be useful for all the PLS community as well as for users and readers new to PLS methods. The Saga of PLS, an online text exclusively dedicated to the history of Partial Least Squares. Available at: sagaofpls.github.io. June 16-19 (2015) Symposium on PLS Path Modeling in Seville, Spain. pls-symposium. 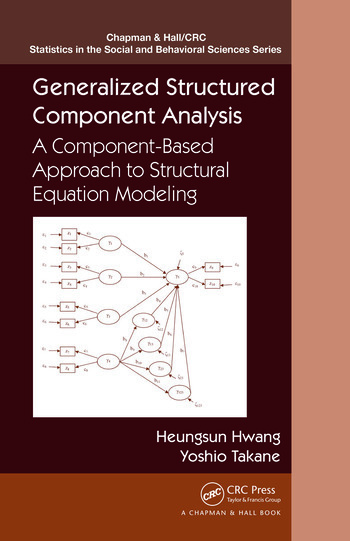 The book Generalized Structure Component Analysis: A Component-Based Approach to Structural Equation Modeling by Heungsun Wang and Yoshio Takane is already available! Find out more here.